Creator/Collector: Collected by Frank Absher/St. Louis Media History Foundation. First accession of photos was donated from Frank Absher/St. Louis Media History Foundation between 1987– July 2013. The second accession of photos came by donation from Sr. Yvonne Meyer on February 23, 1990. The third accession was donated by Ralston Purina on February 5, 1994. The fourth accession was donated by Frank Absher of the St. Louis Media History Foundation on March 18, 2014. An accession of two photos of the Gridiron Dinner of the Women’s Ad Club came by donation from Bea Adams at an unknown date. Processed by: Sarah Cain, May 2014. Conservation notes: All items placed into acid-free folders. Photos housed in Mylar sleeves. 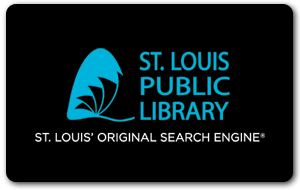 Scope and Content: The collection contains photos of persons in St. Louis advertising and public relations as well as some examples of advertisements and company logos. Restrictions: Photos may be under copyright. Permission required to reproduce images. Remarks: Jean Gosebrink accession numbers included with appropriate items. 1 slim letter Hollinger; 0.2 cu. ft.